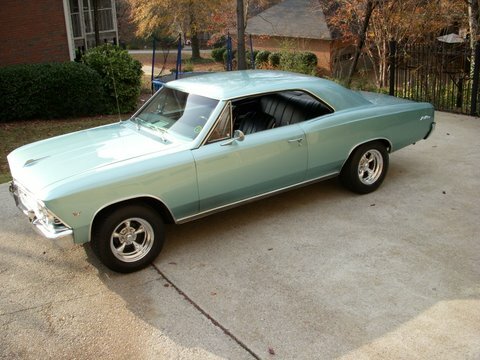 Jimmy’s 1966 Chevelle Malibu is as atypical as they come. With just 74,000 miles on the odometer, this Chevelle came from the factory equipped with a 283 power pack engine with 220 horsepower, a 4 speed, and 3:73 positraction rear and still retains all of the matching number parts. The car was also optioned with power steering, power brakes, bucket seats and console delete. After doing some research, Jimmy was able to track down the original owner only to discover that this was originally a specially ordered Chevelle out of California. Since owning the car, bumper guards, Torque Thrust wheels, and a Vintage Air system have been added to the original options.